Pure Sole is one of the most read sources for sneaker news, information, history, and release dates. We will provide you with the latest breaking news, reviews, and videos in the sneaker world. We deliver some of the rarest and most sought after kicks in the sneaker community. i.e. Air Jordan, Kobes, Durant’s & Lebrons etc. Pure Sole ships worldwide and offers FREE SHIPPING in the United States. 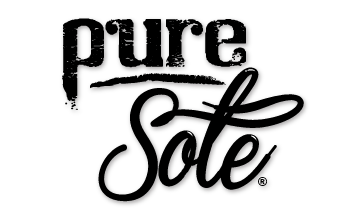 The name Pure Sole comes from the honesty and the purity of our products. We don’t wear FAKES, nor do we condone fakes, B Grades, Replica’s etc. All our products are 100% Authentic from the manufacturer. Pure Sole “Never Stepped On “- meaning raw and uncut without any contamination. You’ve heard the lingo, the name speaks for itself. Shop with us and shop with confidence. Watch how you come back for more. Watch your feet! These two brothers fell in love with shoes back in 1996 when the original black and red patent leather Air Jordan XI’s released. They skipped school to stand in line at the mall to ensure they’d get a pair. Loving the shoes so much they wore them the first day they came out and then put them back in the box for safe keeping. Still to this day one of the brothers still own his rarely ever worn OG Bred XI’s in its original box. Held as one of the most prized possession of his collection. Over the years of collecting and building relationships around the globe the brother’s love for sneakers grew. The relationships garnered access to rare and exclusive sneakers that most sneaker heads drool over. This prompted them to start an online sneaker boutique of some of the rarest finds known to man at market rate prices. Their belief is, if you are a true fan of kicks you shouldn’t have to stand in long lines and camp overnight for a hot release. They have been there and done that. We guarantee all our products are 100% authentic, deadstock, brand new in the box or your money back. We guarantee payment security. Supported by Paypal all online payments are processed via Paypal and at the same time Paypal protects all your information on its online secured servers. We guarantee all in stock products will be shipped within 3 business days and all shipments come with online tracking number.